PForex LLC. presents multiple, high quality, spectacular and incomparable services exclusively to its clients and traders. Each section of presented services are developed by most experienced and highly educated personnel through various teams and departments. The PForex services are provided by various methods and systems. Any investment especially in financial markets needs plenty of knowledge and study beforehand. Owing to numerous and exuberance information and areas of study, institutional and individual investors and traders have to spend too much time to study required educational materials and articles. PForex, through years of precious and profound experience in financial markets, has gathered utmost reliable and sound educational materials under different categories and sessions; Primary, Intermediate, Advanced, Professional, Supplementary and Strategy. Every category has various thorough sessions in diverse sections that have direct or indirect relevance to Forex and other financial markets from Electronic currencies to unique and proprietary strategies developed by R&D Department. Since investment and trading in financial markets are performed in all countries, PForex Department of Education has provided all sessions in different languages in two formats; Text and Video. The video format of Educational Materials are represented in English and Arabic under various screen resolutions via video stream providers. English, Russian, Georgian, Spanish, Deutsche, Portuguese, Italian, Ukrainian, Turkish, Arabic, Malaysian, Indonesian, Hindi, Japanese, Chinese and Korean. All video format of Educational Materials are represented with subtitles in the mentioned languages. PForex Department of Education, consists of well-educated and experienced financial experts and traders, deliver the most recent theoretical trading data to other departments and teams periodically to update their trading skills and intellect. A trader must select the most appropriate Forex broker or Binary Options provider based on his/her country, trading experience, skills, methods and strategies. Owing to numerous brokers around the world with different policies and regulations, it would be hard and time consuming for a trader to gather the essential data and information. Traders must know about the latest details of any change in provided services or policy of a Forex Broker or Binary Options provider. PForex represents frank, sincere and accurate reviews and records about Forex brokers and Binary Options providers with their specific services and details. Retail and institutional investors can attain complete and adequate information on certain financial brokers in a short time to choose the most trustworthy broker. Fresh special bonuses and promotions, video reviews and user comments are provided alongside of solid reviews. The video reviews are represented in English and Arabic languages via different video stream providers. Through lucrative service that PForex offers, traders can gain higher amount of profit from trading. Most of Forex Brokers and Binary Options Providers, presented by PForex, return portion of spreads on orders that traders place. We share considerable and unrivaled amount of this portion with our clients on a monthly term. The spread and commission rate would be unchanged as if you have opened a real account directly. Traders must open real account through our provided link to the desired Forex Broker or Binary Options Provider to gain cashback and rebate. If you have already opened a real account in provided Forex Brokers and Binary Options Provider, you can move your account to join PForex by following a certain procedure on Moving Account section. Through intensive study on technical analysis of financial markets alongside of profound trading knowledge and extensive experience, PForex R&D and Technical Departments have developed most accurate, modern and reliable technical analysis and trading signals generator on wide range of financial markets. 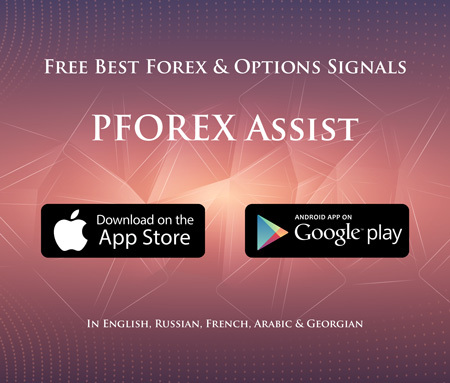 The most prosperous and credible technical analyses and trading signals are provided via different methods after strict supervision by Market Analysis Department of PForex. Our clients can enter PForex Member Dashboard via PForex website and Apps from different devices to access multiple services and information.